The C16 was a model produced by Voisin between 1929 and 1932. 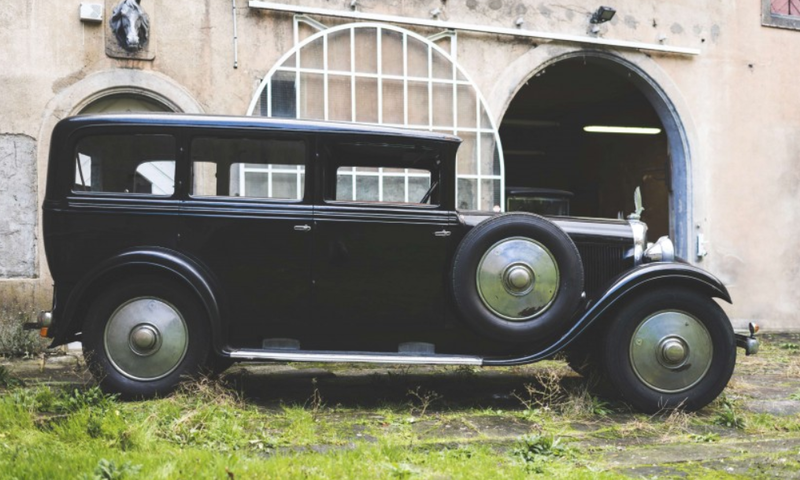 However this car left the factory, the current body was added by Ottin of Lyon in 1932 and it’s a four-door sedan. The style is somewhat sedate by Voisin standards, but then again the wildest designs always came from in-house. This car is powered by a 5.8-liter sleeve-valve straight-six and it was expensive when new, costing three times as much as the 2.3-liter variant. That said, this is the only known 5.8-liter C16 known to exist. 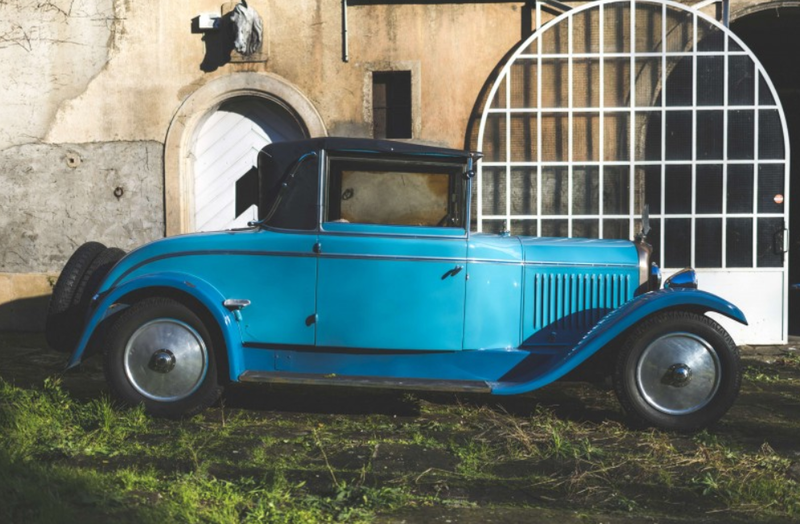 It is listed as the “flagship” of the collection from which it is being sold – a family that has owned a handful of Voisin cars since new. Fun fact, this car (as are the others we’ll feature from this collection) are listed as national French monuments and as such, are unable to leave the country. This one should bring between $100,000-$150,000. Click here for more info. The C11 was Voisin’s best selling-model and was offered between 1926 and 1929. What is neat about this particular car is that it is a two-door convertible with a rumble seat. So many Voisins received sedan or streamlined coachwork that it’s almost weird to see a “sporty” looking variant. Power is from a 2.3-liter sleeve-valve straight-six, and this car is said to be heavily optioned with mechanical equipment from the factory. The body is a one-off from Lyon-based Simon Pralavorio. It should bring between $105,000-$150,000. Click here for more info. The C3L, which is different from the C3C (though I’m not exactly sure how), was offered by Voisin between 1922 and 1928. It is described by the auction catalog as the “car used by Presidents” which I guess means these were quite stately in their day. They are powered by a 4.0-liter sleeve-valve straight-six and were capable of speeds over 75 mph. 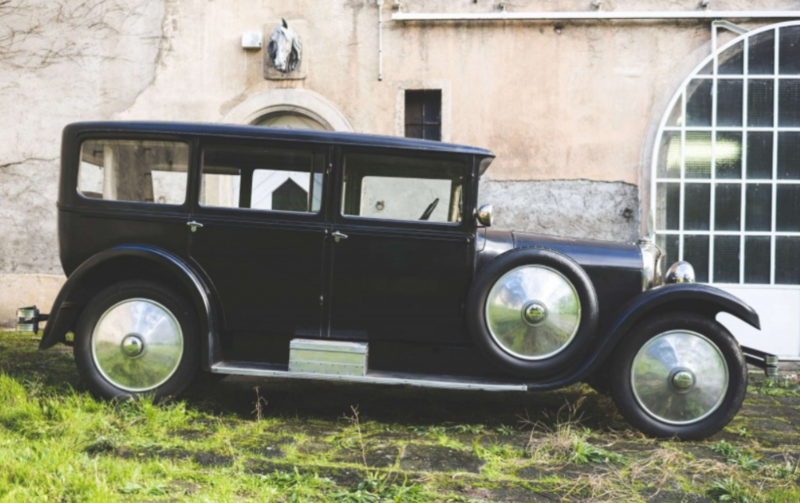 This car was also bodied by Palavorio and is said to have been the family’s favorite of all of their Voisin cars. It has a chauffeur’s compartment and an all-original interior. The price should be in the neighborhood of $80,000-$115,000. Click here for more info and here for more from this sale, including more Voisins.